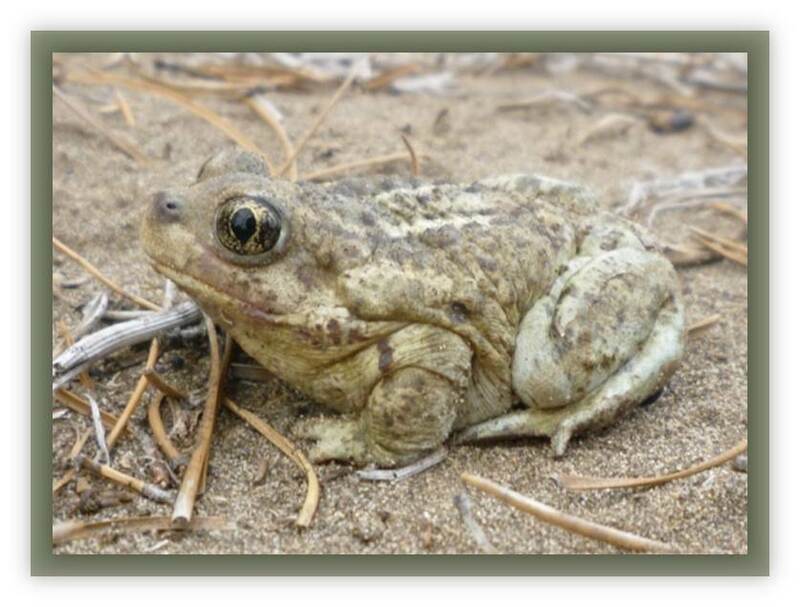 The Great Basin Spadefoot is a charismatic toad-like frog that is highly specialized for living in the dry grasslands of the western interior. They spend much of the year buried deep under the sandy soil (and have specialized little “spades” on their feet to help them dig). Jocelyn Garner recently completed her Masters degree at Thompson Rivers University in Kamloops studying the movements and ecology of this enigmatic little critter. Using unique methods to attach tiny radio-tags, Jocelyn was able to track these little amphibians throughout their breeding and hibernation cycles, revealing for the first time many of the secrets of their lives. Southern British Columbia is the northern edge of the Spadefoot’s range and it is found in a narrow band of grasslands as far north as 70-Mile House. The grasslands around Merritt are one of the hotspots for this species. It is a Threatened species in Canada and Jocelyn’s work is important in developing management plans that can protect the spadefoots while taking into account the needs of grassland ranchers. This will be a fascinating presentation about a little-known species and the exciting research that was done to unveil its ecology at the northern edge of its range. 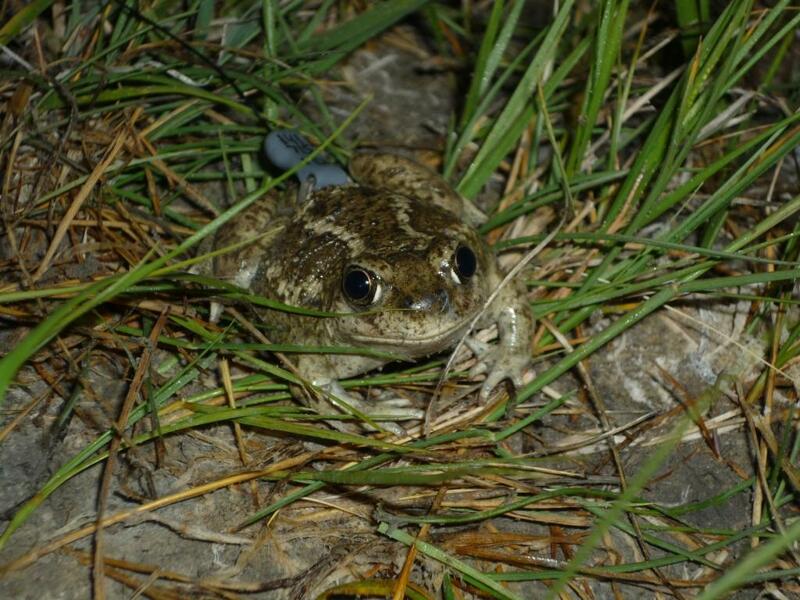 A Great Basin Spadefoot carrying one of the specialized radio tags used to track its movements and behaviour. Photo: © Jocelyn Garner. This entry was posted in Past meetings, Uncategorized. Bookmark the permalink.